On June 5, 2017, Fr. 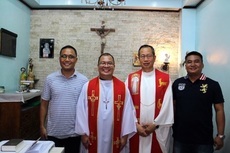 Eladio B. Oliver, the MSP Father Moderator led the mission sending Mass and ceremony of Fr. John S. Bordon, MSP held at the MSP Central House chapel. Fr. John will be going to the Diocese of Hiroshima, Japan. In his homily, Fr. Oliver reminded Fr. Bordon that ‘even the most powerful bomb that was dropped to Hiroshima failed to kill the faith of the Catholic faithful.’ Drawing inspiration from the Gospel and the martyrdom of Saint Boniface, he also told Fr. John that no amount of persecution had stopped St. Boniface to witness to our Christian faith. In love and gratitude to God the Father, through his Son and in union with the Holy Spirit, for the gift of faith, I make this declaration. In my pursuit of the vocation to the missionary priesthood, I solemnly declare my intention to be sent to the foreign mission on behalf of the Mission Society of the Philippines, and in the name of the Catholic Church of the Philippines. 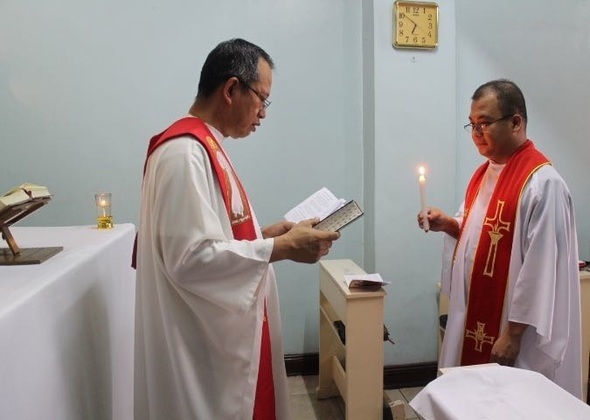 In my desire to be true to my vocation as Incardinate member of the Mission Society of the Philippines, I promise to faithfully work in the Diocese of Hiroshima and minister to people I am called to work for. I also promise to exercise my priestly ministry with zeal, creativity, fidelity, and devotion. 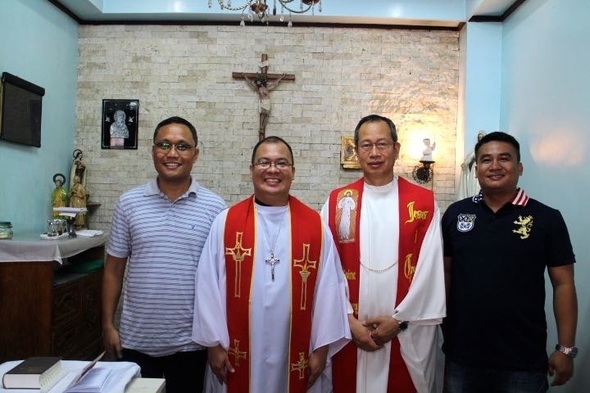 Lastly, I also promise to carefully consider the stipulations in the memorandum of agreement that the Mission Society of the Philippines has entered into with the Diocese of Hiroshima, I ask God to help me fulfill my declaration and promises.